The possibility of the UK revoking its Article 50 notice is hitting the headlines. The Prime Minister was asked last Monday in Parliament if she had received legal advice that she could revoke the triggering of the Article 50 process. Her equivocal response led many to believe that such advice does indeed exist. Last Tuesday, this blog published an analysis of whether revocation was possible at the European Union level. This post considers the same question from a domestic law point of view. Many similar questions to those raised in the recent Miller litigation are relevant to determining if the Government can revoke the notification under Article 50. This post concludes that as a matter of domestic law, revocation cannot lawfully be attempted without direct authorisation by an Act of Parliament. The domestic legal basis of executive actions in the international plane must be either statute or prerogative. I have argued elsewhere (MLR, November 2016, p1041) that legal grounds for triggering Article 50 could have been located in s 2(1) European Communities Act 1972 (‘ECA’). This argument was not put to the court in Miller, as Lord Reed noted (at , Miller). It would therefore seem unlikely an argument that revocation could be legally grounded in s 2(1) ECA would persuade a court. The majority in Miller did not finally determine the legal basis for executive action at EU level but in effect endorsed the view that it was under the prerogative (at , Miller). This is the only logical option if the statutory basis is rejected, which the majority in Miller did (at  and ). It appears, then, that actions undertaken by ministers at EU level are exercises of the prerogative. This theoretically would include implementing a decision to revoke the notification under Article 50. Miller confirmed that the prerogative could not be exercised so as to frustrate the intention of the ECA or other relevant Acts (at , Miller). I have labelled this (MLR 2016, supra) ‘the frustration principle’ – to be contrasted with ‘the abeyance principle’. The abeyance principle states that in the event that statute and prerogative overlap, the executive must use the statutory power and the prerogative goes into abeyance. As I argue in an article in Public Law (Special Edition, forthcoming, 2017, copies available: r.j.craig@lse.ac.uk – on the usual terms), Miller is best understood as a paradigmatic example of a breach of the frustration principle that was indistinguishable from Laker Airways. In both cases, actions by the Executive using the prerogative conflicted with the intention of Parliament. In Laker Airways, statutory domestic landing rights of the claimant were rendered nugatory by executive action to prevent conferral of landing rights for the airline in the USA. This breached the frustration principle because Parliament intended to grant those domestic landing rights once appropriate procedures had been followed. In Miller, statutory rights – to vote for an MEP for example – would have been inevitably lost due to executive action, under the prerogative, to trigger Article 50. This would have breached the frustration principle because Parliament intended to confer those statutory rights on citizens. The question then arises as to whether a purported revocation of the Article 50 notification by the British Government, under the prerogative, would breach the frustration principle in relation to the 2017 statute that authorised the triggering of Article 50. Interestingly, there is considerable evidence of Parliament’s intention in this area. That this House recognises that leaving the EU is the defining issue facing the UK; notes the resolution on parliamentary scrutiny of the UK leaving the EU agreed by the House on 12 October 2016; recognises that it is Parliament’s responsibility to properly scrutinise the Government while respecting the decision of the British people to leave the European Union; … recognises that this House should respect the wishes of the United Kingdom as expressed in the referendum on 23 June; and further calls on the Government to invoke Article 50 by 31 March 2017. This motion was passed by 448 votes to 75. This has no legal effect but provides useful background context against which the 2017 statute can be read. As always, the meaning of an Act of Parliament is determined by ascertaining the intention of Parliament. The reader’s eye may therefore linger over the two occasions on which the word ‘intention’ is used in this extremely short Act. It is fair to point out that the relevant intention is expressed as belonging to the ‘United Kingdom’ but as Parliament is the sovereign body, the will of Parliament is the highest expression of the intention of the UK from a domestic point of view. Parliament, however, cannot itself act in the international plane. That is always an executive function, regardless of whether the source of the power is prerogative or statute. It would be a mistake to think that Parliament merely conferred a discretion on the Prime Minister to consider whether to trigger Article 50. The better reading, following Fire Brigades Union, is that the Prime Minister had a discretion when, not whether, to trigger Article 50. Parliament therefore made its intention crystal clear. The short term discretionary power to trigger Article 50 may render the actual notification date temporarily uncertain under the Act, but the destination is not in doubt. As everyone knows, the Article 50 exit procedure was in fact triggered earlier this year, thus starting the process of implementing the intention of Parliament for the United Kingdom to leave the EU. It might be argued that the Act should be understood solely as authorising the notification under Article 50, rather than laying down that the UK must exit the EU. This might have been a good argument if the Act had simply said that the Prime Minister “may issue a notification under Article 50(2) of the Treaty on European Union”, or similar wording – but that is not what the Act said. It specifically referenced the United Kingdom’s intention to withdraw from the European Union. This makes political sense when placed in the context of the Referendum and the Motion but, much more relevantly, it is difficult to read the section and the long title in any way other than as evidencing Parliament’s settled intention, as a matter of law, for the United Kingdom to exit the European Union. That intention cannot be frustrated using prerogative power. It might also be argued that revocation can be distinguished from Miller and other cases because they all concerned the taking away of rights whereas revocation would not take any rights away. This argument misunderstands the frustration principle which is concerned with the intention of Parliament not the removal of rights. It is true that in Miller, Parliament intended to confer rights and that intention would be frustrated if those rights were lost by prerogative action – but to limit the principle to where rights are removed would be erroneous. In Miller, Parliament’s intention in the European Parliamentary Elections Act 2002 to grant rights to vote for an MEP, for example, would have been frustrated. In the EU (NoW) statute, Parliament made clear its intention for the United Kingdom to leave the EU. This will inevitably mean the loss of some rights. The beauty of the current scenario is how clearly it illustrates that the key issue in applying the frustration principle is not the issue of rights, but ensuring the implementation of Parliament’s intention. In this case, Parliament intends to remove some rights. That intention is no less legally valid and important than an intention to confer some rights. In neither case can prerogative be used to frustrate that intention. Furthermore, on the issue of rights, it can be shown that the frustration principle can apply even where no statutory rights are at stake at all. In Fire Brigades Union, the provision of an alternative scheme under prerogative for compensating those injured by crime would have frustrated the intention of Parliament to institute a statutory scheme. The crucial point (as Phillipson and Young argue, Public Law Special edition, forthcoming) is that Fire Brigades Union did not concern rights at all. Compensation for criminal injuries was originally ex gratia and the statutory scheme was not yet in force and, in any event, built in discretion for the Compensation Board to refuse awards if not satisfied by the conduct of the claimant. This means that there was no actual statutory right to compensation that would have been lost if the new prerogative scheme had displaced the Criminal Justice Act scheme – but the frustration principle still applied. Finally, it might be thought that revocation would take place at the EU level not domestic level so domestic legal questions might appear to be irrelevant. This fails as well because the same issue was raised in Miller and it was made clear in that case that whatever the EU issues were, there also had to be valid domestic legal grounds for all executive action. It is suggested that the intention of Parliament in the EU (NoW) is therefore manifest: it is that the UK should leave the European Union. It follows inexorably, therefore, that any use of the prerogative to attempt to revoke the notification to the EU that triggered the Article 50 process would directly frustrate the intention of Parliament in the EU (NoW). Following Miller, and Laker Airways, the use of the prerogative in this way would be unlawful. If the Government, or any future Government, wanted to revoke the notification under Article 50, a fresh Act of Parliament would be required that authorises that action as a matter of domestic law. The author would like thank Gavin Phillipson, Martin Loughlin, Tom Poole and Alison Young for helpful comments on previous drafts. Responsibility remains with the author. An Act of Parliament cannot overrule EU law because EU law is supreme and surely once Article 50 was invoked, then only the rules of the Lisbon Treaty apply to the exit procedure. Therefore I see no reason how an Act of Parliament could change anything. A fundamental counterargument, that Professor Craig simply does not address, is that the concept of revocation is simply irrelevant if article 50 is a lex-specialis procedure for a member state to leave the EU. While Professor Craig’s “domestic law” analysis does indeed reference the recent UKCLA blog post by Cormac Mac Amhlaigh “Can Brexit Be Stopped under EU Law?”, the question of whether revocation is a domestically relevant concept seems to me to be a logically prior question. This is because it is relevant to the domestic questions of statutory construction that Professor Craig’s analysis raises because the European instrument of Article 50 is relevant in the construction of the domestic statutes. I don’t think European- and domestic-law questions can be severed in the way Professor Craig suggests, especially at the most fundamental level of whether revocation is a relevant concept. Robert Craig has set his arguments out very nicely and with clear, easy-to-digest logic. Basically if Miller required Parliament to act to invoke Article 50, then it also requires it to act to revoke it. I trust no pragmatic MP worth the votes to be there would dream of supporting such proposed legislation. 529 days and a few hours to go …. party like it’s 1999! The use of the word “intention” in the long title of EU(NoW) must surely be read as mere precise enunciation of the words in Article 50 and no more. As you correctly state the HoC motion is of no legal consequence whatosever. Your point about “when” not “whether” is well made but I venture to suggest that when Parliament handed to the Executive the power to decide “when” it also implied/intended that to be read with the addition of the words “and if”, not least as any precursor conditions had to first be met and if not met then Notice could not be given, or if given would be of no legal effect. By parity of reasoning because “intention” is always to be read as “present intention” which is never a binding commitment in Contract or other law until “inked”, Parliament must have intended that the power to revoke any notice must lie entirely in the hands of the authorised executive without more. The Divisional Court was at pains to emphasise that its judgment was restricted only to the use of the Royal Prerogative on the giving of notice and no more. It is that point alone that was before the SC as the SC was not a de novo hearing. Whilst I agree that revocation is a purely domestic constitutional issue, it is surely inevitable that upon application by any Member State (or indeed affected individual) the ECJ must have jurisdiction to determine whether or not any revocation is valid – but only after the event has occurred and not by anticipatory declaratory relief. Here’s an alternative interpretation: the European Union (Notification of Withdrawal) Act 2017 [NoW Act] is not prescriptive and is merely conditionally permissive. In legal language the phrase “may” usually means “may or may not”. The word ‘shall’ is typically used to make something prescriptive. Because the European Communities Act 1972 [ECA] is a constitutional statute it cannot be changed except by express amendment or repeal. This means it has not been altered by the NoW Act. If the NoW Act were prescriptive it would be in conflict with the ECA. In addition, because the NoW Act refers to “notification” as defined in Article 50 this means the notification must have followed a decision to withdraw from the EU in accordance with the UK’s constitutional requirements, which is what makes it conditionally permissive. 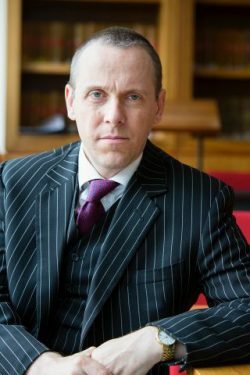 As has been argued elsewhere (https://www.counselmagazine.co.uk/articles/article-50-the-trigger-never-was) it is an open question as to whether the UK has actually made this decision. The analysis can be wrong! A lot of funny arguments around here! The King v Mitchell and Another (Justices of Clitheroe) on the correct interpretation of the word “may” in a statute. Read the letter the highest law officer in the lann, Lord Kilmuir wrote to Edward Heath. It clearly states that giving away our sovereignty (control of our affairs) to another state is against our constitution and common law. Recent revelations about Heath’s character explain why he signed the first treaty of Rome. He admitted that he misled parliament in parliament and in his memoirs. They don’t teach common law at the LSE. Perhaps this explains Robert Craig’s ignorance. The analogy with Fire Brigades’ Union is imperfect: “on such day as the Secretary of State may … appoint” did not mandate the Secretary of State to appoint a day, merely to keep the decision of whether to appoint a day under consideration. By analogy, the NoWA did not require the Prime Minister to make an art 50 notification but only to keep the possibility under consideration. Thus I think it’s hard to say that such notification is itself the intention of Parliament (otherwise, why not just say “the Prime Minister shall notify…”?). The distinction between this situation and the situation in Miller can be seen from the long titles of the two acts. The long title of the ECA begins: “An Act to make provision in connection with the enlargement of the European Communities to include the United Kingdom…”. This presupposes that the EC is to be so enlarged. On the other hand, the long title of the NoWA begins: “An Act to confer power on the Prime Minister to notify…”. A power ain’t a duty, precisely because it presupposes the possibility that it won’t be exercised. It doesn’t quite follow that the Prime Minister has the power to revoke the notification once given, but I think further argument is required to demonstrate why, if the Prime Minister had discretion before the notification, she lost that discretion upon making the notification. My comment above regarding our constitution raised no objections. Perhaps others who promote the use of parliament to use article 50 are aware of the true law of this country and so cannot argue against someone like me stating it. I find it horrific that an organisation with constitution in its title rarely discusses or even admits that we have a constitution. LAWFUL MAXIM. Common law is superior to statute law. UK CONSTITUTION confirmed by statute. A person commits treason if they give away our sovereignty (control of our affairs) to a foreign state unless we have been defeated in a war. A COMMON CONCEPTION. If you are caught out doing something wrong you have to stop doing it. All UK treaties with the EU are unlawful. We should just walk away. This entry was posted on October 16, 2017 by Constitutional Law Group in Europe, European Union, UK government, UK Parliament and tagged Article 50 - revocability, Article 50 TEU, Brexit, Brexit judgment, EU (Notification of Withdrawal) Act 2017, Miller v Secretary of State for Exiting the European Union, prerogative powers.